Welcome home to 3900 Glen Bluff Road, located off Lime Kiln Lane. 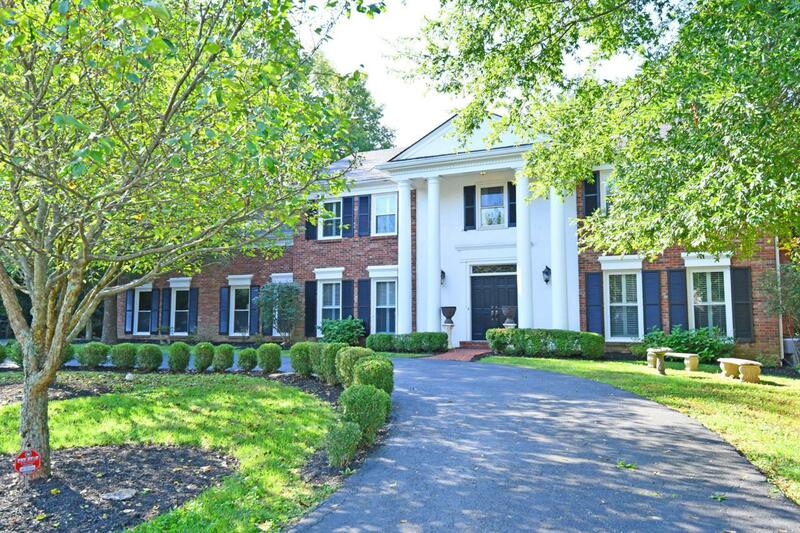 Stately & pristine, remodeled Colonial with a finished walk-out lower level. Positioned on a private cul-de-sac lot with North Eastern exposure and evening sunsets. UPDATES; First Floor laundry/Mud room with private rear entry door. Hardwoods, Kitchen, Master Suite (15x18) and Lower Level. Lovely netural paint throughout. EXTERIOR: Circular Drive, rear entry 2.5 garage. Overlooking the rear yard is the oversize deck, entertaining large brick patio and covered porch. Garage has a space for a workshop and second floor studio/loft used for storage.FLOW: Grand French Door entry invites you into a formal Foyer with curved hardwood staircase and views of the floor to ceiling windows in the vaulted great room with gas fireplace Sports Exercise Room, Bonus Room, Storage and 5th Bedroom with 4th Full Bath. DETAILS: White washed Kitchen cabinets with 5 work spaces all with granite counters. Stainless appliances, includes SUB Zero, wine refrigerator and gas range double oven and convection oven and dishwasher. Master suite with wall to wall ceramic stone, 2 dressing vanities and walk in shower and whirlpool tub. TOTAL: 5 bedrooms, 4 full and 2 half baths, over 5,252 finished sqft, includes 1,520 sqft in walk- out Lower Level, excludes 436 unfinished sqft. Noted: Partial finished garage studio. Over 1/2 an acre. Location, Convenience and Choice of top Schools and Clubs! Perfect for busy folks up-sizing to their next home all with out having to complete major remodeling or adding sqft .